Make these bite-sized keto bagels in less than an hour and serve them at your Thanksgiving, Christmas or New Year’s celebrations. If you don’t have a mini bagels tin you can of course make them larger and cut them into halves or quarters. 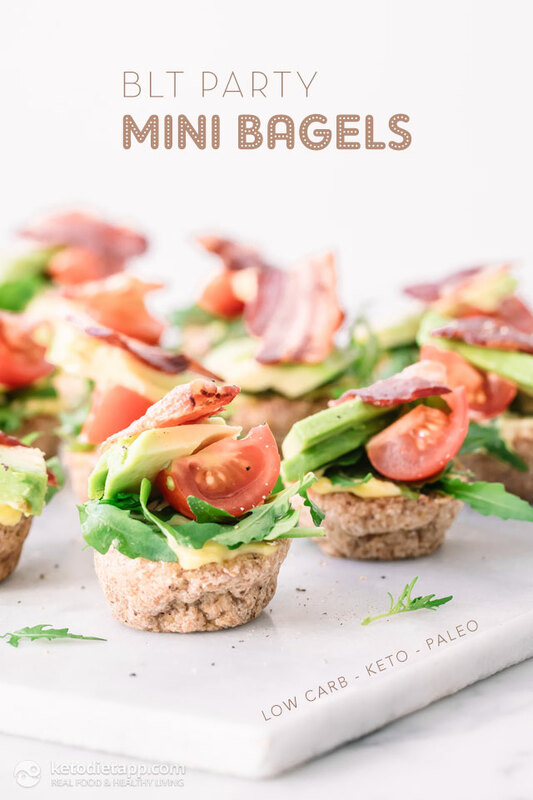 These mini low-carb bagels are so good even your carb loving friends will be sneaking them off the party table! 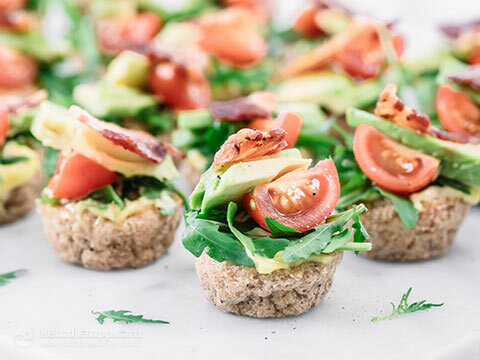 Topped with perfectly crispy bacon and extra healthy fats from the homemade mayonnaise and avocado. I hope you enjoy guys. Preheat the oven to 155 °C/ 310 °F (fan assisted oven), or 175 °C/ 350 °F (conventional oven). 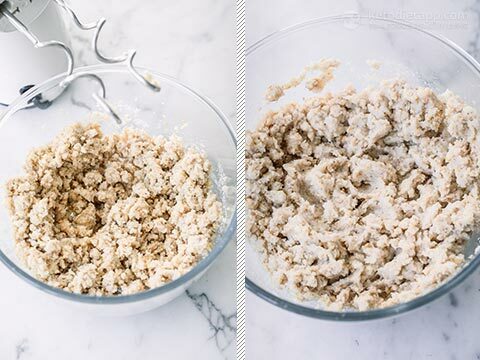 Add all the dry ingredients to a bowl and mix. Add the egg whites and egg yolk (and vinegar if using instead of cream of tartar). 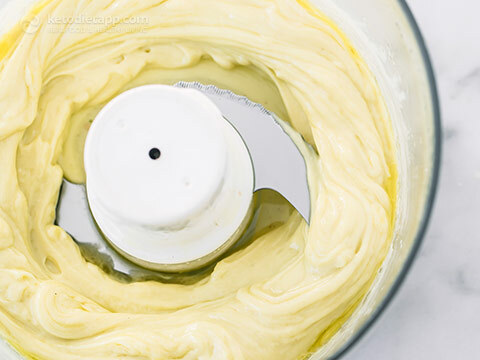 Process using a hand mixer (or use a stand mixer). Add the boiling water while mixing, and process until well combined (this will take just a few seconds, do not over process). Grease your mini muffin tray with a little ghee, coconut oil or olive oil. Roll the bagel mix into small balls (just about 18 g/ 0.6 oz each) and press into the moulds. Make sure the hole shows through. Bake in the oven for 25-30 minutes until golden. If making larger bagels you may need to increase the cooking time slightly. Once cooked, place the mini bagels on a wire rack to cool. If the hole has covered over, simply pierce with the non-serving end of a spoon. Crisp up the bacon. Preheat the oven to 190 °C/ 375 °F. Line a baking tray with baking paper. 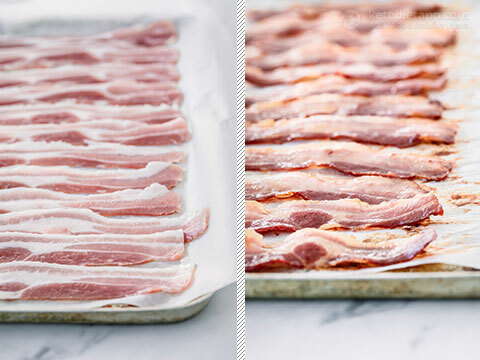 Lay the bacon strips out flat on the baking paper, leaving space so they don&apos;t overlap. Place the tray in the oven and cook for about 10-15 minutes until golden brown. The time depends on the thickness of the bacon slices. When done, remove from the oven and set aside to cool down. Cut each slice into three pieces. 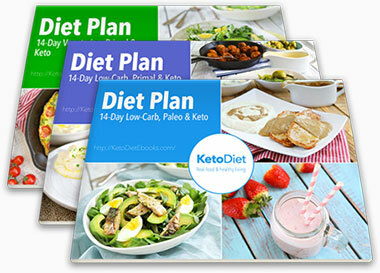 Prepare the mayonnaise as per this recipe - or use store-bought paleo mayonnaise. 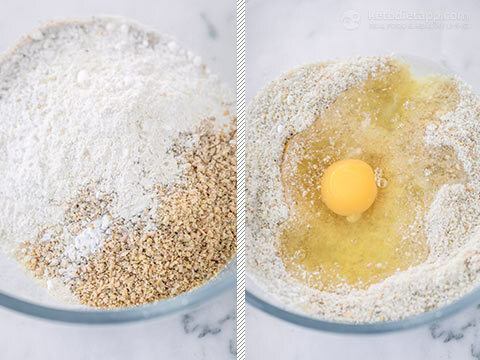 To make mine, I used a food processor and let the oil drip slowly into the egg yolk mixture until emulsified. 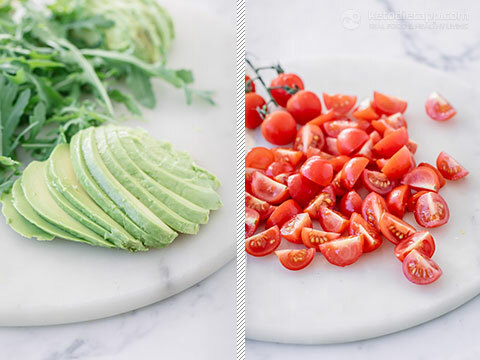 Thinly slice the avocado and then half the length of each slice to make two slices. Slice or quarter the tomatoes. 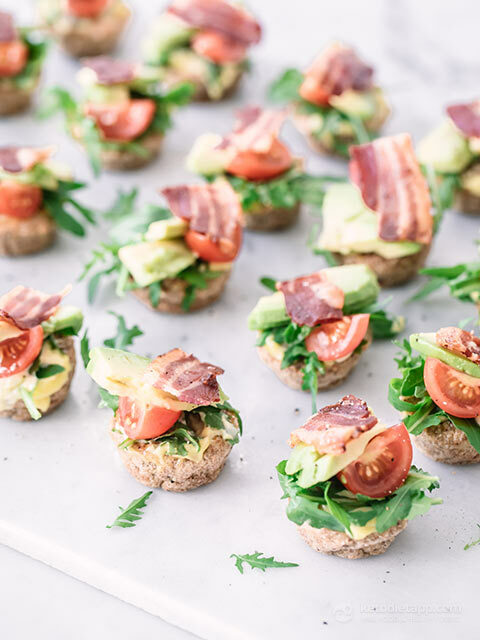 Top each mini bagel with a teaspoon of mayonnaise, rocket, 2 pieces of tomato, avocado and bacon. 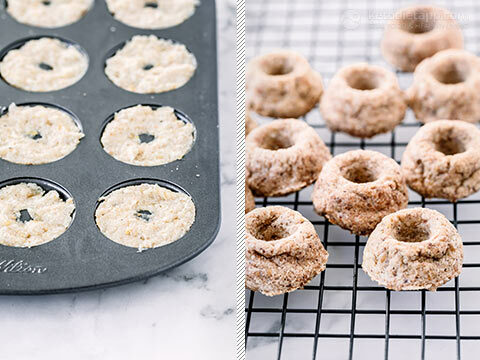 Serve with a sprinkling of cracked black pepper (3-5 mini bagels per serving). Store in fridge for 2 days. The bagels (without topping) can be frozen for up to 6 months.